For a limited time Morbid Rodz has a small number of these vintage hand carts for sale. They make excellent decorative coffee tables. Please call 903-249-4061 for details and pricing! For Sale – 1934 Ford 5 Window Coupe. Morbid Rodz is pleased to offer this 1934 Ford 5 Window Coupe for sale. This car has 99% of the original parts including the motor, transmission, and a clear title. This car is an ideal candidate for a full restoration and is offered as an unfinished roller. This is also a very desirable car for a street rod or a rat rod build. This car is priced to sell quickly at $20,000 or best offer. Partial interesting trades will be considered! Call or text 903-249-4061 for more information. For Sale – Ford Model A 5 Window Coupe! 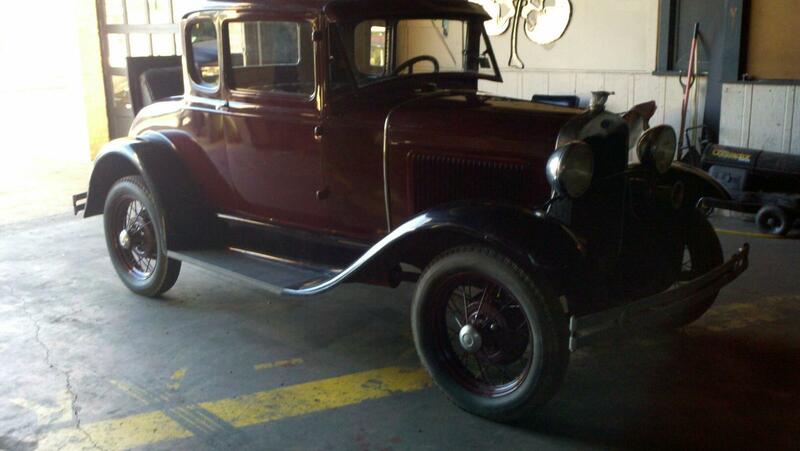 Morbid Rodz is pleased to offer for sale this Ford Model A 5 Window Coupe. It’s original other than a repaint which is fairly recent. Please contact the shop for more details or if you have any questions!